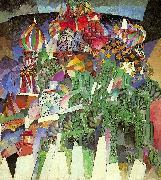 1913 Oil on canvas Tretyakov Gallery, Moscow. 1928-32 Oil on canvas The Russian Museum, St. Petersburg. 1912 Watercolor on canvas Colby College Museum of Art, Waterville, ME. 1932 Watercolor on paper Whitney Museum of American Art, New York. 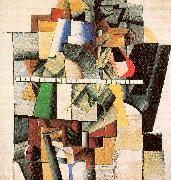 1912, oil on canvas, Haags Gemeentemuseum, The Hague. 1914, oil on canvas, Haags Gemeentemuseum, The Hague.